European ROC (Relay Operations Center) is the central control center for Transportation Execution across the Amazon's European Transportation network, supporting both domestic and inter-country transportation movements for European geographies. The team is responsible for planning and scheduling the trucks/vehicles to be placed at each of our fulfillment centers across Europe, based on various factors such as forecast, historical trends, vehicles capacity and carrier capabilities. ROC plays a critical role in ensuring the smooth functioning of Amazon's European transportation network and thereby has direct impact on Amazon's ability to serve customers on time. Carrier Ops Specialist II works across the EU in a cross-functional environment with Carriers, ROC, Planning and Scheduling organizations to determine future demand for transportation resources, and translates the aforementioned into accurate capacity plans and performance execution. S/he also maintains and reports up to date and accurate statistics, management reports and analysis. S/he also facilitates the flow of information between different stakeholders (Trans Carriers/Hubs/Warehouses) and resolves any potential issues that impact customer experience and business continuity. S/he is an expert in the transportation function (inbound and outbound), is able to independently define processes considering long term sustainability and repeatability. S/he handles escalations and takes ownership of projects/tasks beyond core responsibilities. S/he works as a frontline operations leader, providing support and guidance to peers. · Understanding of analytical simulations and assessments. Must be able to quickly understand the business impact of the trends and make decisions that make sense based on available data. · Pull and report data from numerous databases (using Excel, Access, SQL and/or other data management systems) and to perform ad hoc reporting and analysis as needed is a plus – this ability will be developed over time for a candidate who is fundamentally strong analytically. · Develop and understand performance metrics to assist with driving business results. · Investigates root cause of performance failures to trouble shoot and create processes/actions to sustainably eliminate them. · Writes effective standard operation procedures based on business requirements. · Determines corrective action for risks and obstacles with assistance from senior program managers. 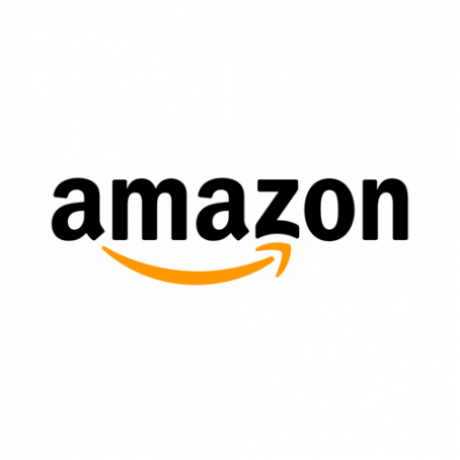 · Scope out business and functional requirements for the Amazon technology teams who create and enhance the software systems and tools are used by the team. · Participates in recruiting efforts. · Active in the training and/or development of others. · Executes vision and goals for the team or department. · Functional specs and technology decisions must be reviewed by more senior program managers or manager. · Uses professional concepts learned in school or through some other formal training to identify problems and initiate solutions. · Operates with autonomy, some oversight and direction is required. · Has discretion regarding matters within their area of responsibility. · Work requires creativity and judgment. · Responsibilities are non-routine in nature and vary from day to day. · Manager sets overall objectives and resource availability; completed work is reviewed for compatibility with other work and/or effectiveness in meeting expected results. · Managers are available for consultation and training, but encourage employee to operate autonomously. · Will regularly identify, discuss and bring forward issues or ideas to more senior team members. · Will serve as escalation point for carriers. · Communicate with external customers (Carriers, Vendors/Suppliers) and internal customers (Retail, Finance, Software Support, Fulfilment Centers). · Provide real-time customer experience during day shift working hours. · +2 years’ work experience in operations/supply chain/logistics/e-commerce. · Experience working with transportation carriers from planning, scheduling to other daily operational execution.